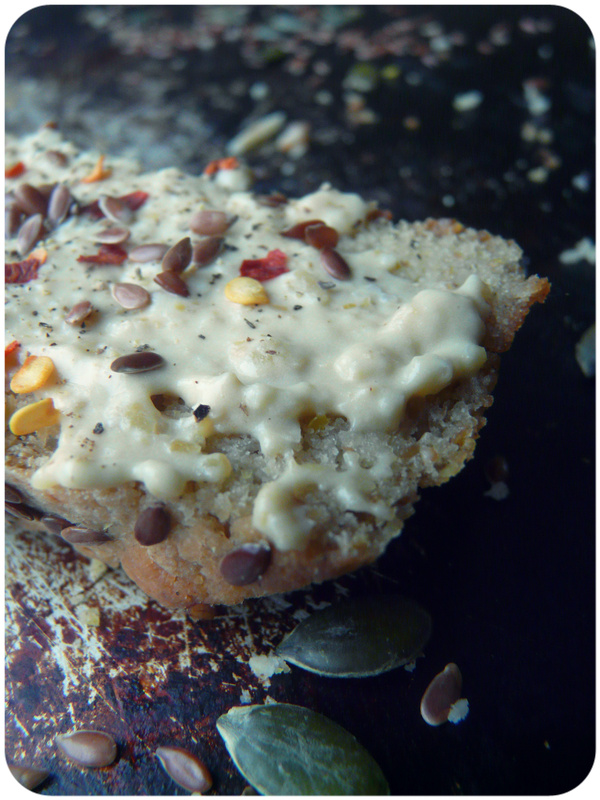 Want a luscious gluten-free bread for your toast, sammiches or more? Then this is it! Its perfect and there nothing too crazy in it. It would be perfect paired with a soup! Most of all I like it lightly toasted and smothered in humus. 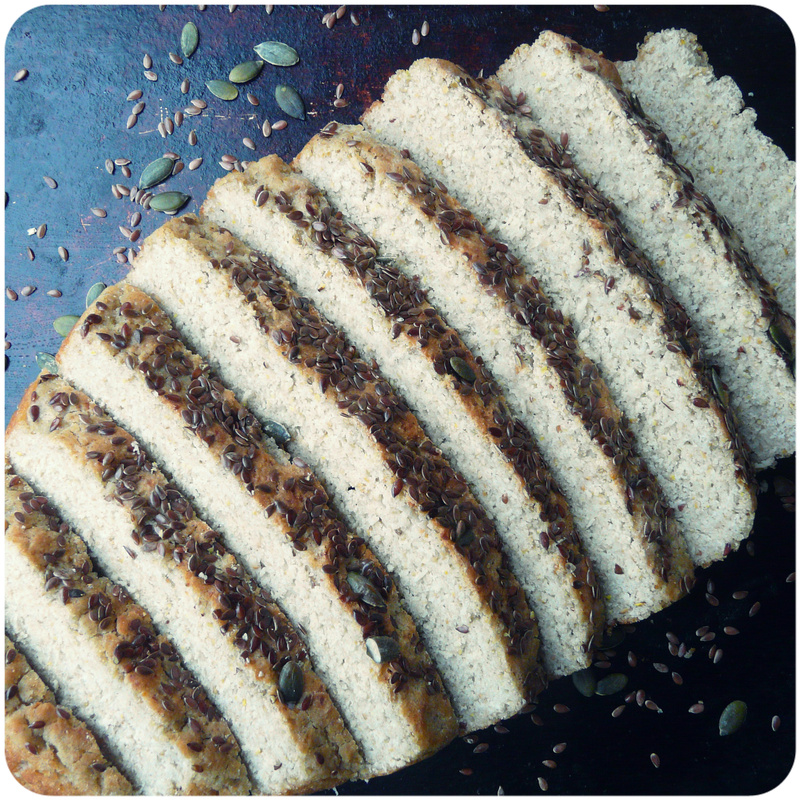 This is the perfect gluten-free bread, flavorful with a good crumb! The sorghum flour and the gram flour add plenty of protein and the flax adds omega 3! Even non gluten-free peeps would benefit from eating this, there,s more to live than wheat (even though I’m a big fan of my old friend wheat). So change it up a little a give this bread a go, for a yeasted bread its super simple as there no point kneading something that doesn’t have gluten in it, just stir, wait, shape, wait and bake! Add the rice flour, sorghum and gram and whisk together. Add the water, yeast and sugar. Whisk together until just combine, add the salt and oil and carry on stirring just until there are no lumps and no dry patches. Cover the bowl with clingfilm and pop in a warm place for about 1-2 hours to double in size. Grease a 8″ cake tin and scoop the gummy gluten-free dough up, and plonk into the tin. Wet your hands and smooth over the top of the dough, sprinkle on some seeds of your choice (optional) and cover with cling film. Preheat the oven to 230c/440f and allow the dough to rise back up for about 30 mins to 1 hour. Place a dish in the bottom the oven and fill with a couple of cup of freshly boiled water. close the oven back up and allow to come back up to temp (about 10 minutes), bake the bread for about 35- 45 minutes until a lovely golden brown. Once nicely browned leave to cool for 10 minutes in the tin before turning out of the tin carefully and cooling on a cooling rack until 100% cooled before you slice it! As you can see in the image below, its gawguss with a lil bit of humus! 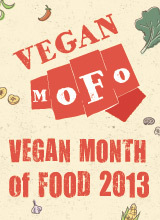 This entry was posted in Breads and tagged baking, bread, food, recipe, vegan. Bookmark the permalink. I have friends over for the we… friends with coeliac problem! Thanks! A lot! I’ve got a gluten-free coconut pound cake recipe going up tomorrow morning! Stay tuned! Rather obviously from me, “yay to gluten-free bread”! And vegan and gum-free. See you’re properly spoiling us now. This recipe looks fantastic! Even though I follow a mainly gluten free diet I have always been too scared to try gluten free baking. This looks like a nice way to ease myself into it, although I had to google sorghum flour…is that a health food jobby rather than the supermarket? This bread looks fantastic Alex. Most gluten-free and wheat-free breads I’ve tried have been so dense and rubbery… but the crumb in this loaf looks lovely and tender (LOVE the fact that you have chilli flakes with your hummus. That’s exactly how I eat mine!). Thanks for sharing the recipe. I’ll be trying this for my gf, wheat-free friends! 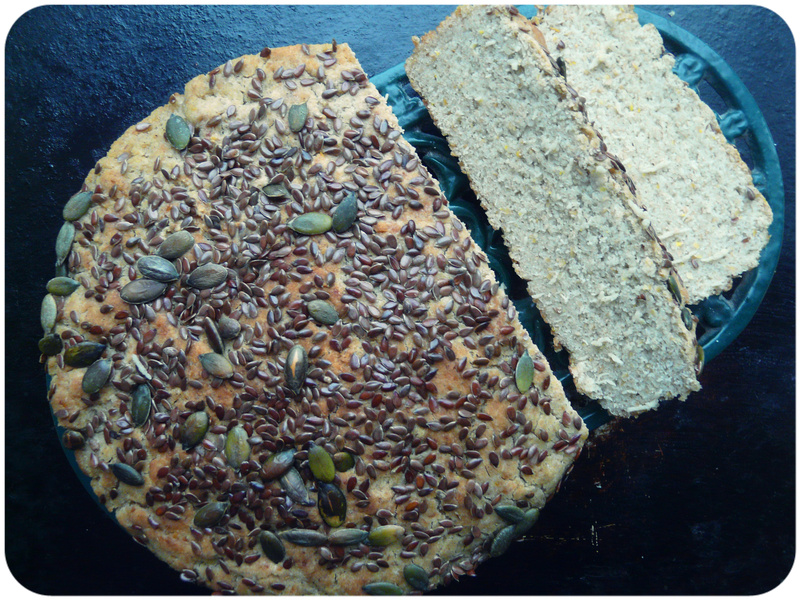 Home-made Gluten-free bread isn’t that easy to make & you make a beautiful loaf of GF bread! Your bread looks truly appetizing too! 🙂 Yummmm! This looks fantastic! I am definitely going to have to try this.